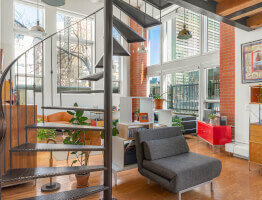 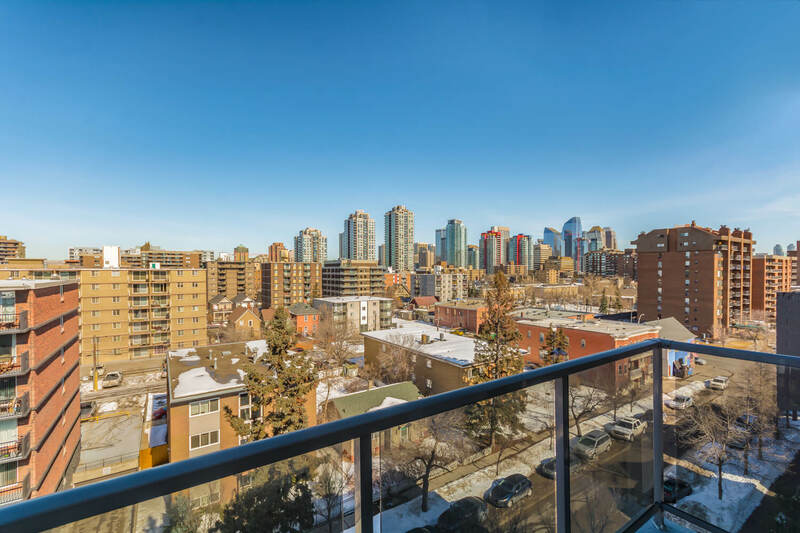 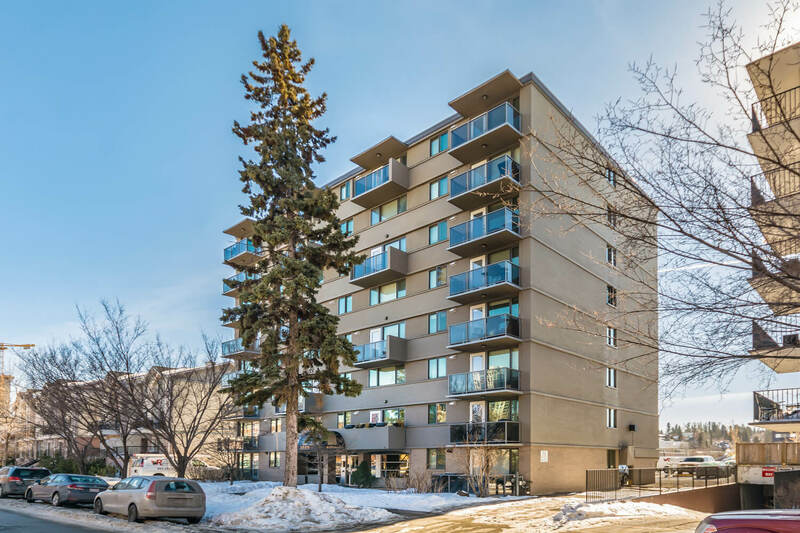 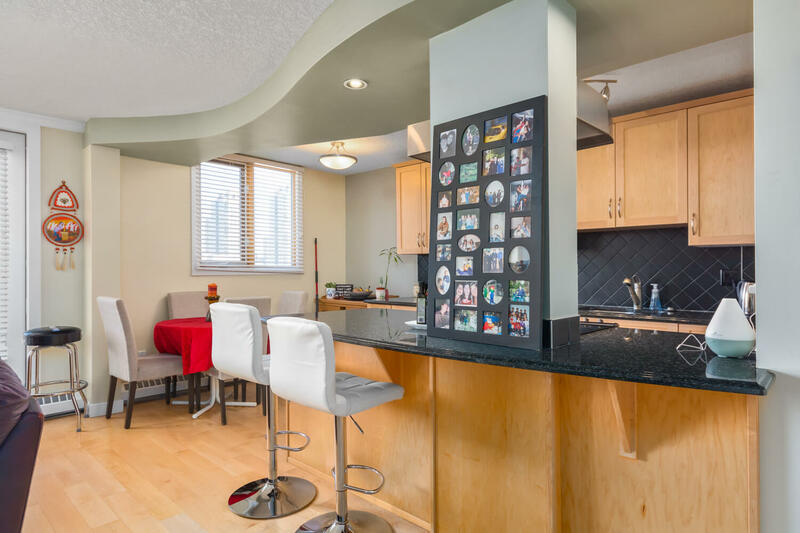 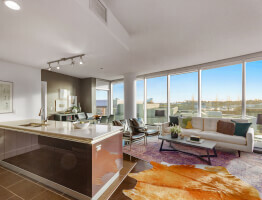 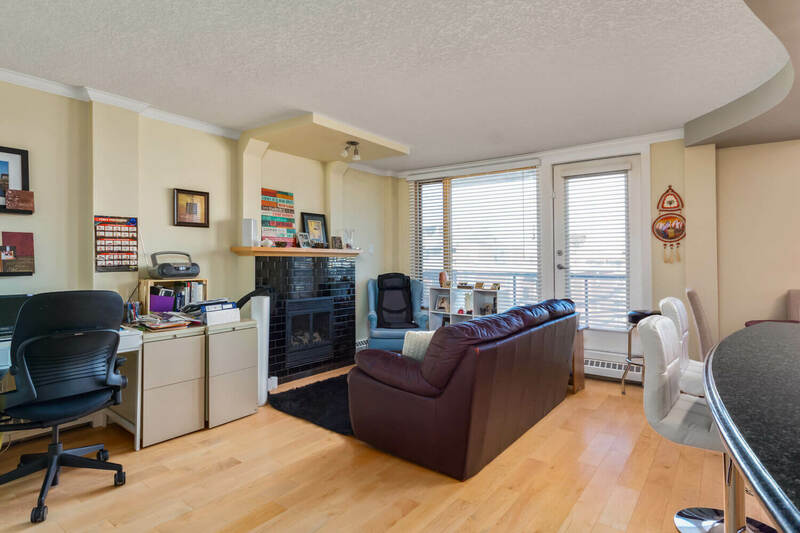 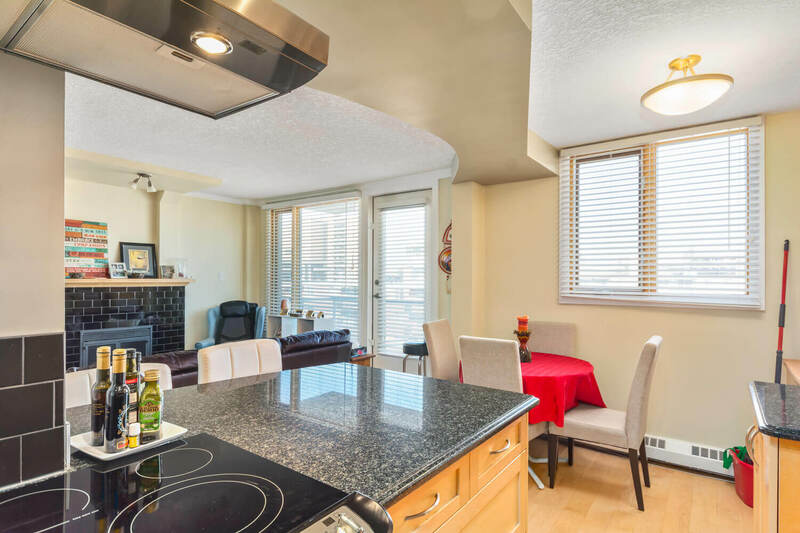 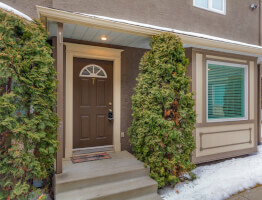 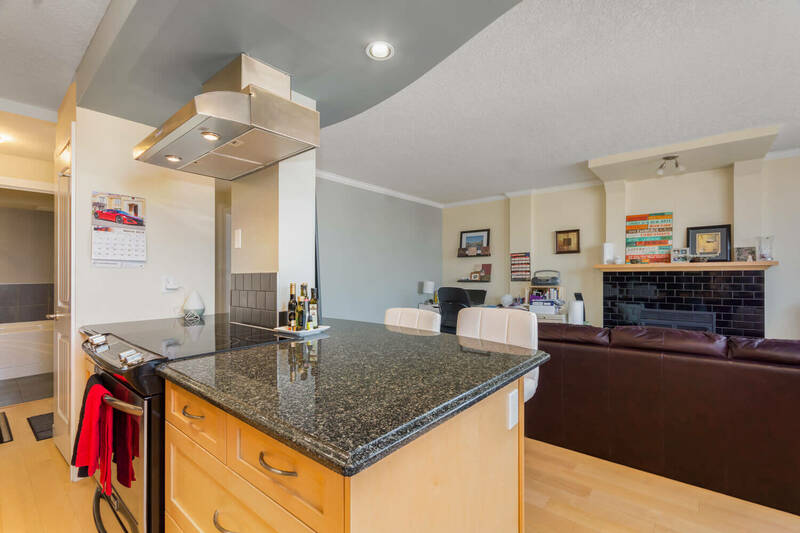 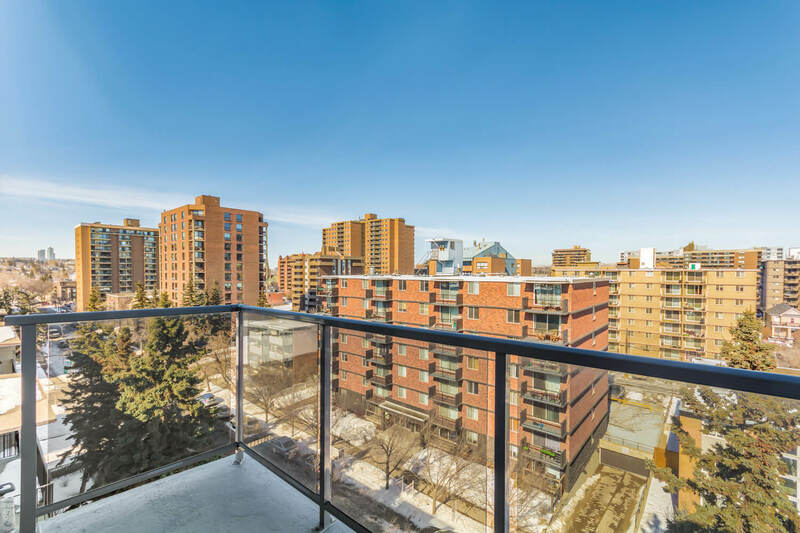 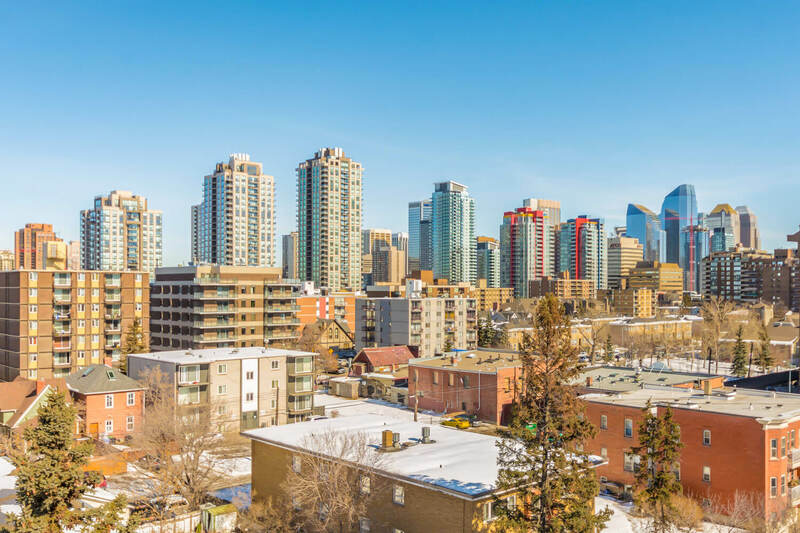 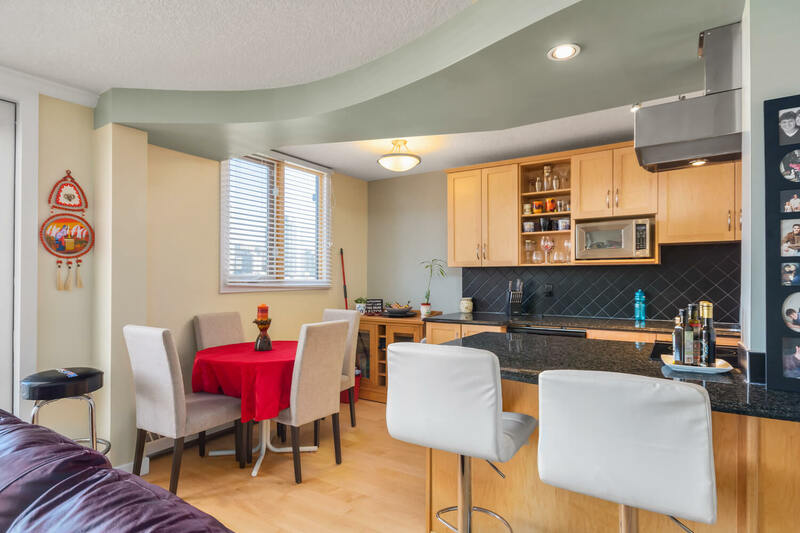 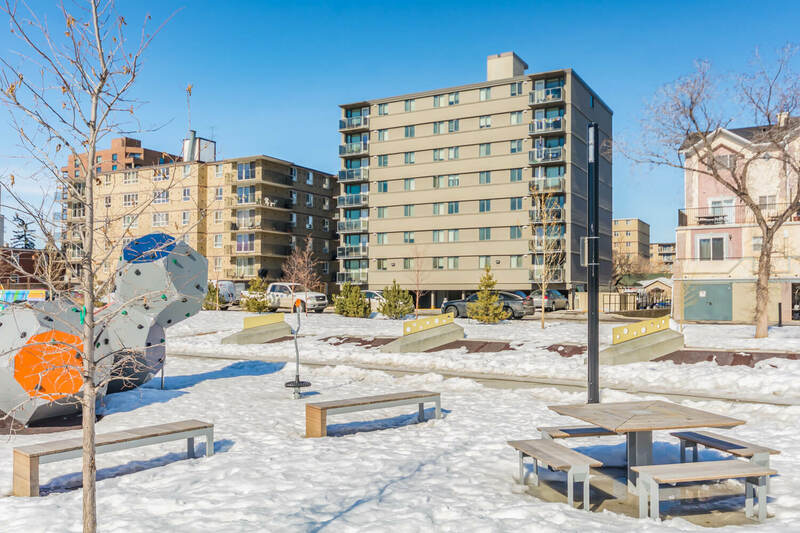 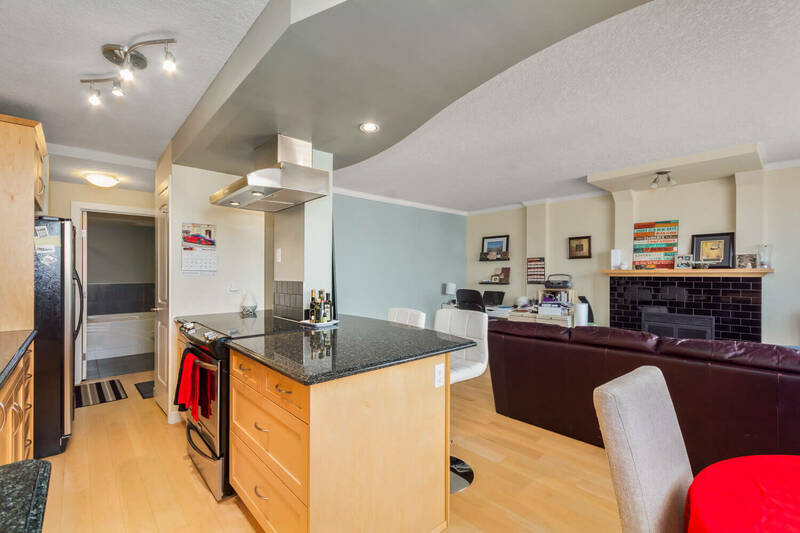 With the 17th Avenue business district on your doorstep, this updated north-facing penthouse residence is sure to impress. 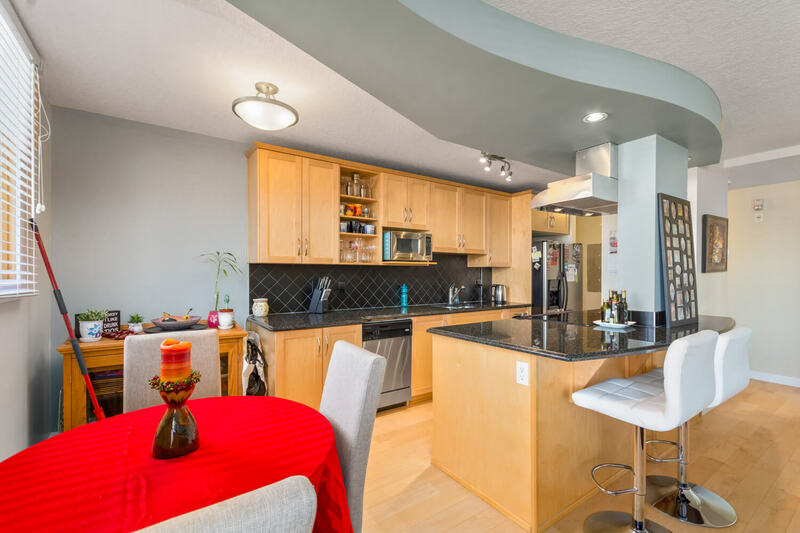 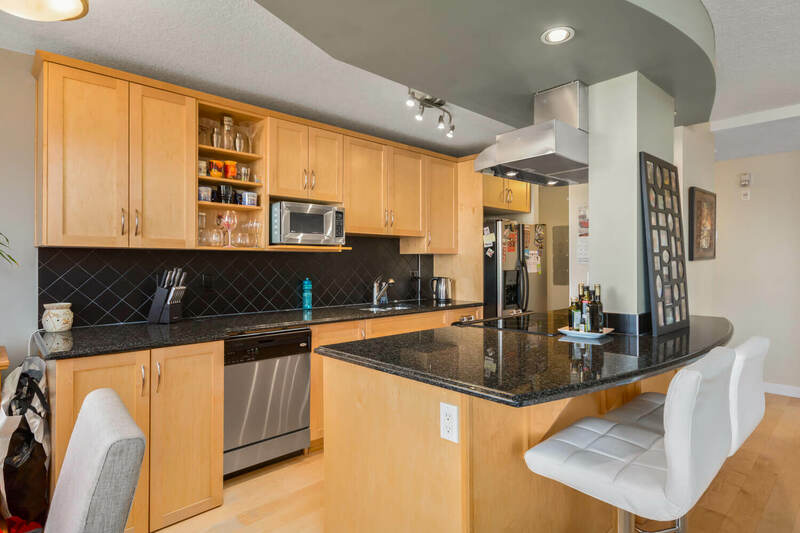 The stylish galley kitchen features maple cabinetry, granite countertops, stainless steel appliances, convenient breakfast bar, and separate dining area. 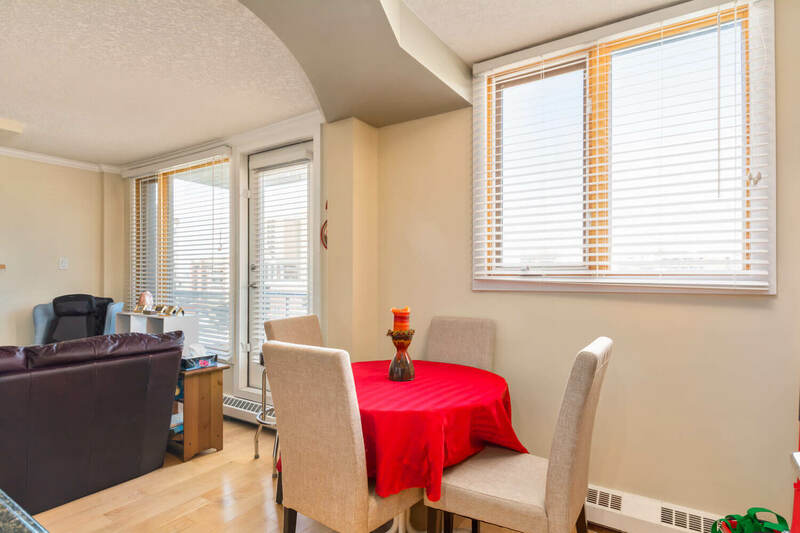 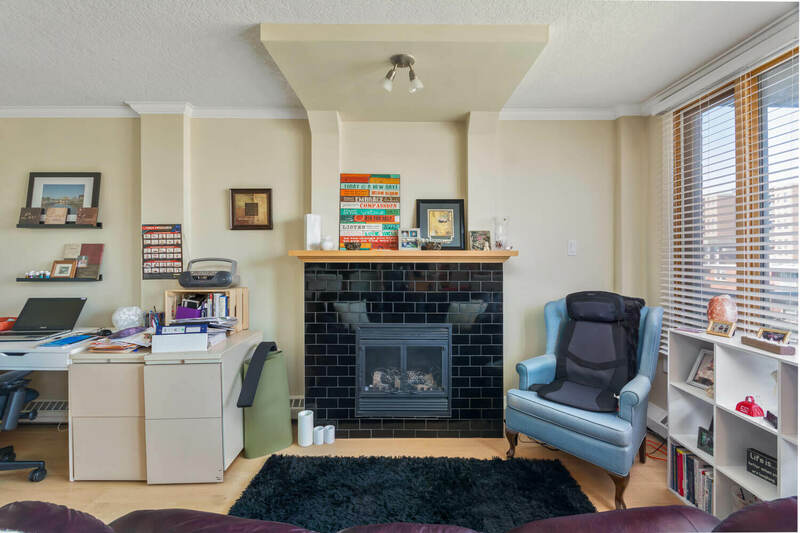 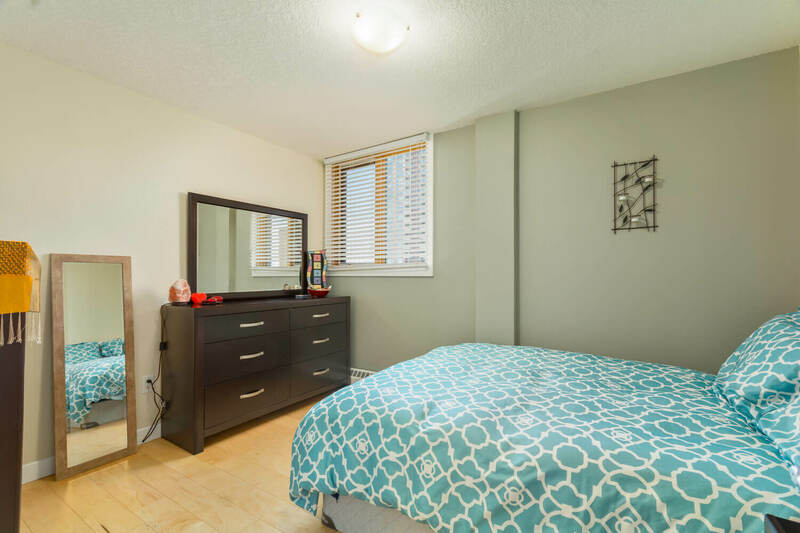 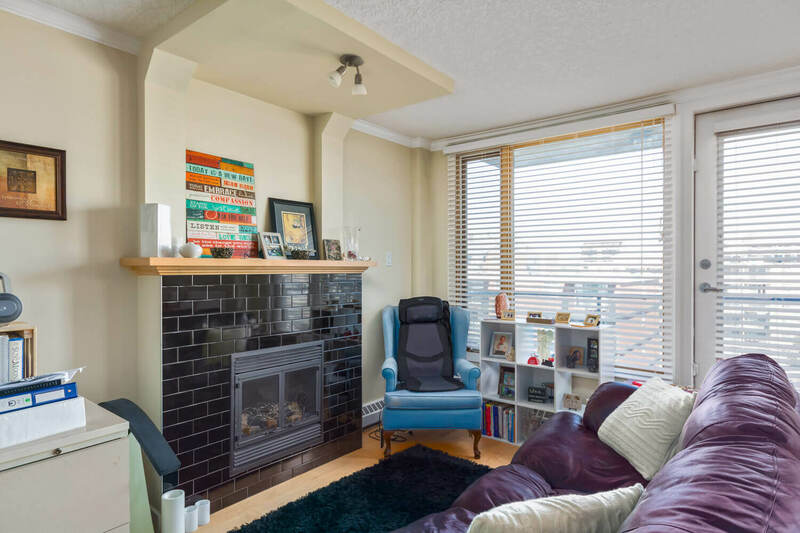 Nearby the comfortable living room with built-in electric fireplace and tiled surround offer access to a private balcony with panoramic views of the neighbourhood. 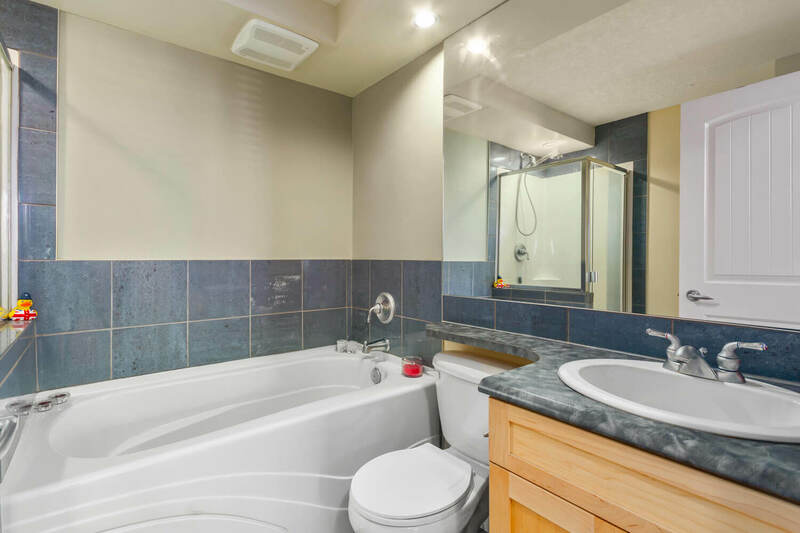 Hardwood floors run throughout the home and into the master bedroom, leading to a 4-piece bathroom with glass shower & soaker tub. 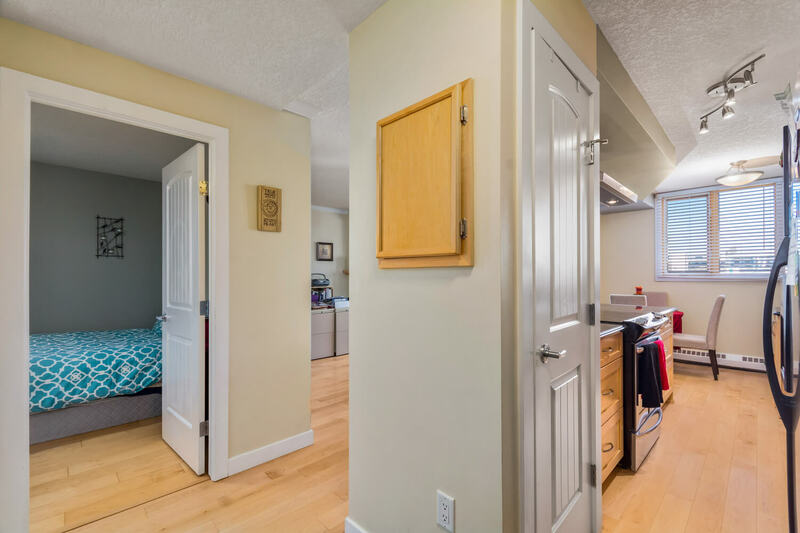 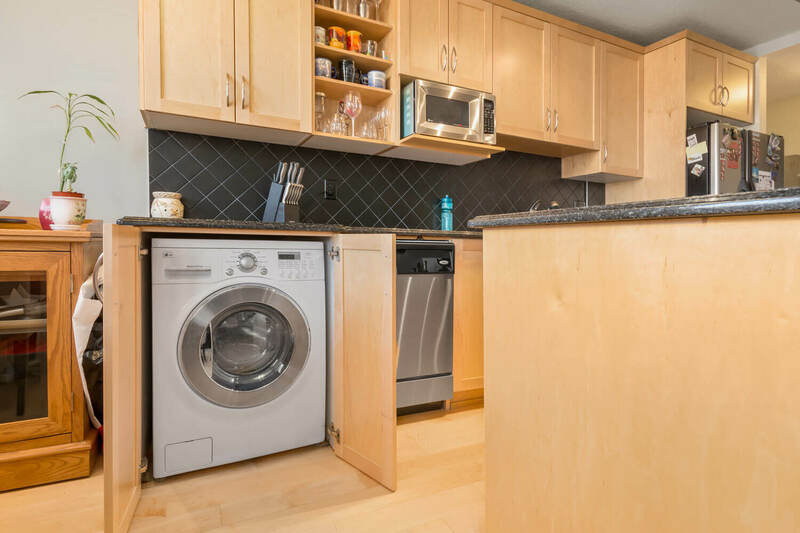 Also note the discreet in-suite European washer/dryer, assigned parking stall, separate storage locker, and condo fees include electricity! 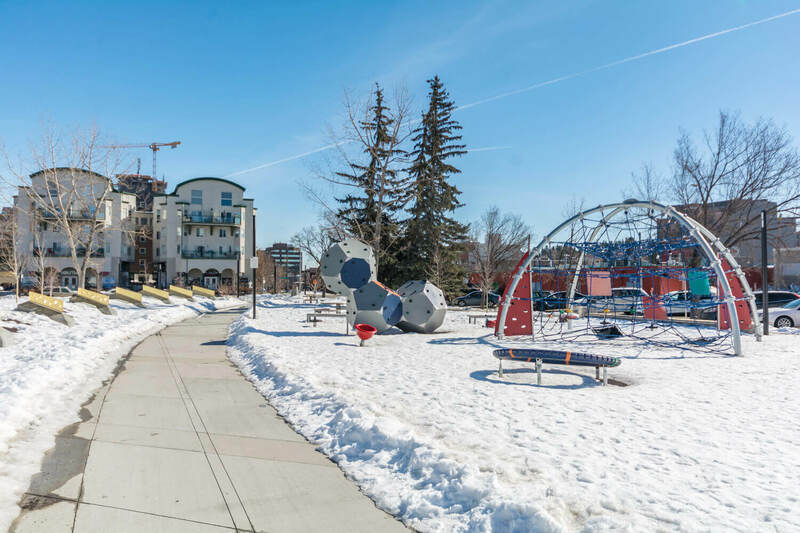 Enjoy walking to work, taking in the local boutiques, or visit one of the many award-winning restaurants and cafes nearby.